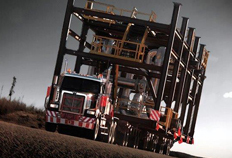 The trucking industry’s growing trend of making significant improvements to their truck models has been taken up by Western Star. According to a recent piece in Fleet Owner, Western Star has introduced the Neway ADZ series of axle air suspensions for its 4800, 4900, and 6900 truck models. The Neway ADZ axle air suspension series is designed specifically for heavy-duty trucks, and the fact that some of Western Star’s most popular models are now available with it is great news for trucking enthusiasts everywhere. According to SAF-Holland, the company that makes the Neway ADZ series, their design is a streamlined, lighter-weight axle air suspension, which reduces overall weight while still providing top-quality performance. Because lighter vehicles also get better overall mileage, this design is well-suited for those looking to improve their trucks’ fuel efficiency. The Neway ADZ axle also accounts for a variety of different truck designs; its integral lower control arm module helps it stabilize and support vehicles that have a higher center of gravity than normal, making it a safe option for truck drivers. Western Star’s heavy-duty trucks are designed to withstand many rough conditions, from weather to heavy shipping loads to poorly constructed pavement. The addition of the Neway ADZ series just makes them that much tougher and better prepared for the road ahead. 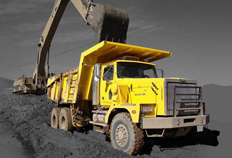 Do you have questions about Western Star trucks , parts, and maintenance? Call Baltimore Freightliner-Western Star today for more information. According to a piece in a recent edition of Transport Topics, the trucking industry has even more to smile about this summer than an improvement in vocational truck sales. The sales figures are in for July, and they are showing a whopping 22.5% jump for heavy-duty truck sales in America compared to last year’s comparable numbers. Daimler Trucks North America’s Freightliner brand in particular showed impressive individual figures and remains the leading truck brand sold with 6,451 units. So what exactly is responsible for this marked surge in truck sales? Baltimore Freightliner-Western Star has some insight. One factor that has definitely contributing to these record truck sales is the new technology available to the trucking industry. People are looking to replace older models and outdated tech with the latest innovations that they know will keep them ahead of the pack. Older trucks are less efficient and can be expensive to maintain and find new parts for, whereas a newer truck offers all the benefits of a cutting-edge design, including energy efficiency, a major selling point. With an economy that is steadily improving, people are finding the need once more for new trucks. The demand for better, modern trucks has increased to keep up with businesses that are once again able to expand. When other industries are showing healthy development, so does the trucking industry. Overall, it looks as though the success of brands like Freightliner will continue well into the future. Do you have more questions about the trucking industry and the kinds of trucks you should be investing in? Call Baltimore Freightliner-Western Star today for more information. A “Golden Age” for Vocational Trucks Ahead? As we mentioned in last week’s blog, the sales figures for vocational trucks have been impressing those in the trucking industry nationwide. That trend, it appears, shows no sign of stopping, as the vice president of sales and marketing for Daimler Trucks North America, Richard Howard, was recently quoted in an article from Fleet Owner saying that there has never been a better time to be in the industry than this “Golden Age” of technological and sales advancements. There are many reasons behind this confidence in trucking, and none of them are unfounded. Already sales figures for vocational trucks have increased over the past few years, and new and expanding product lines are said to be the next step for the country’s top brands. But there is also an overall commitment to improving trucking services, a vision shared by Baltimore Freightliner-Western Star. Shops will now give quick and accurate assessments of the work that needs to be done; the wait for an assessment, in the past, sometimes took longer than the actual work itself could. The new organizational systems, bolstered by new technologies, is allowing for fast, efficient, and precise customer service, which is good news for truckers and truck owners alike. Vocational trucks can last for up to ten years when they receive this high level of care. 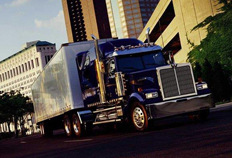 Longer lasting trucks, coupled with new fuel innovations such as natural gas engines, have made the trucking industry the one to watch in terms of which businesses will be the biggest success stories in the coming years. Baltimore Freightliner-Western Star will continue its commitment to matching that level of success through its top-notch customer service and industry knowledge. While the economic recession did affect many industries, some are coming out of it newly strengthened and ready to keep progressing further. The trucking industry is certainly among those; Daimler Trucks North America, the parent of Freightliner and Western Star trucks, has seen immense improvement in vocational truck sales over the course of the last year, and there’s no sign of stopping. According to a recent article from Transport Topics, DTNA has noticed a distinct pattern of rapid growth in sales for Freightliner SD and M2 vocational trucks over the last five years. What exactly qualifies as a vocational truck? DTNA general manager David Hames says that there are essentially six types of vocational trucks: trucks for specialized hauling purposes, for government usage, for construction, for refuse, for utility company usage, and for food and beverage usage. The sales of these kinds of trucks indicate an overall improvement in the market; if these kinds of companies require and can afford to expand their truck fleets, then this shows economic development. Freightliner vocational truck sales are a strong indicator of a healthier economy and their sales to truck equipment manufacturers give more and more companies access to necessary truck parts to maintain their fleets. If you are involved in a business that is seeking a way to expand, start with Baltimore Freightliner-Western Star and see why these high quality vocational trucks are in such high demand. Interested in finding out more about our services? Visit our homepage today! As we mentioned in a recent post, the trucking industry has been moving more and more towards developing fuel-efficient trucks to deal with rising energy expenditures. One of Baltimore’s (and the nation’s) best brands—Freightliner— has developed a new engine designed with this new era of green technology in mind: the Cummins Westport ISX12 G.
According to a recent article in Fleet Owner, the ISX12 G is an engine for heavy-duty Freightliner trucks, cranes, and mixers that runs on natural gas. Natural gas is an inexpensive, clean-burning fuel source, and the sales for cars with CNG (compressed natural gas) technology skyrocketed in 2012. 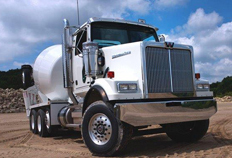 For heavy-duty trucks, natural gas is an even more valuable option because the size and workload of these trucks necessitates that they use more fuel. That’s part of what makes Freightliner’s new engine so revolutionary; it could be the first step in changing the face of truck fuel consumption for the future. 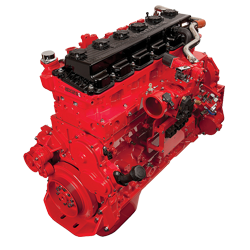 The ISX12 G will be available as a factory-installed feature of the Freightliner 114SD by the beginning of 2015, according to Fleet Owner. In addition to this new engine for heavy-duty trucks, Freightliner has fuel-efficient options for natural gas engine vehicles in other models, including the Cascadia 113. All in all, it looks as though the trend towards greener driving and fuel-efficient vehicles is not going anywhere, and Freightliner, as usual, finds itself at the forefront of innovation in the trucking industry. Want to talk to your local Freightliner expert about fuel-efficient truck options or other trucking questions? Call Baltimore Freightliner-Western Star today.